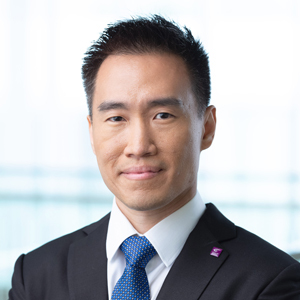 Dr. Seen-Meng Chew is an Associate Professor of Practice in Finance at the Department of Finance, The Chinese University of Hong Kong, and serves as an Honorary Research Advisor for FinFabrik, a Hong Kong-based financial technology solutions provider that specializes in capital markets. Before his current positions, he worked as a senior economist at J.P. Morgan, International Monetary Fund and Morgan Stanley, covering Asia Pacific economies. Prior to returning to Asia, he worked as an economic consultant at NERA Economic Consulting in Chicago, advising multinational corporations on their international pricing strategies. His written work has been published in well-known business journals such as the Asia Asset Management Journal and the International Tax Review. He also has substantial lecturing experience at universities in the U.S., Hong Kong and Singapore, in economics and finance courses. Dr. Chew received a PhD in economics from University of Chicago, an MPhil in economics from University of Cambridge, and a BSc in economics from the London School of Economics. Seen Meng Chew (2018), “Rise of regtech – the potential for new opportunities in China,” Asia Asset Management Journal, September 2018. Seen Meng Chew (2018), “Disrupting research – machines are challenging humans,” Asia Asset Management Journal, August 2018. Seen Meng Chew and Nirav Gala (2018), “New kid on the block – initial coin offerings are a popular way for start-ups to raise funds,” Asia Asset Management Journal, June 2018. Seen Meng Chew (2018), “The pros and cons of cryptocurrencies – risks, opportunities and challenges associated with adopting them,” Asia Asset Management Journal, May 2018. Seen Meng Chew (2018), “Breaking down barriers – democratizing finance, AI and investing,” Asia Asset Management Journal, March 2018. Seen Meng Chew (2017), “The rise of the tech economist – a scientific upgrade for the economist profession?” Asia Asset Management Journal, December 2017. Seen Meng Chew (2017), “Revolution or evolution? Fintech and private wealth in Asia,” Asia Asset Management Journal, June 2017. Seen Meng Chew (2015), “China’s RMB as a reserve currency: 6 implications for international markets,” Bloomberg professional white paper, December 2015. Seen Meng Chew (2014), “Non-financial corporate debt sector,” IMF Malaysia Article IV selected issues paper, March 2014. Seen Meng Chew (2012), “What would further commodity price fall mean for Indonesia?” Morgan Stanley Asia Insight, July 2012. Seen Meng Chew (2010), “Coping with the economic downturn: comparing arm’s length benchmarks during a volume recession,” International Tax Review, March 2010.